How we treat other animals says a lot about us, and when it comes to the way farm animals are treated in the food industry, we have some explaining to do. Animals are treated as unfeeling commodities, rather than as living creatures. They are crowded and confined in cages so tightly that they cannot walk, turn around, or lie down comfortably. Such animal cruelty is outside the bounds of acceptable conduct, and with growing awareness about the abysmal conditions that exist on factory farms, consumers are looking for alternatives. Seeking to capitalize on this humane sentiment, meat, milk, and egg marketers are increasingly marketing their products in ways that mislead consumers. Meat labeled as "natural," for example, can come from animals living on factory farms, implanted with hormones, and given drugs. And they can be subjected to overcrowding, mutilations, and abuse. Similarly, animal products marketed as "free range" typically come from animals who are treated poorly. "Free range" only requires that animals have access to the outdoors, but access isn't defined, so thousands of animals can be raised in warehouses and sold as "free range" as long as there is "access to the outdoors," which could be a small door that leads to a small outdoor area that the animals never use. Even "pasture-raised" can be misleading. When I visited Joel Salatin's farm in Virginia, I saw his "pasture-raised" chickens, who were on pasture and also crowded into wire enclosures with low, corrugated metal roofs. They were overheating, some with open-mouth breathing. 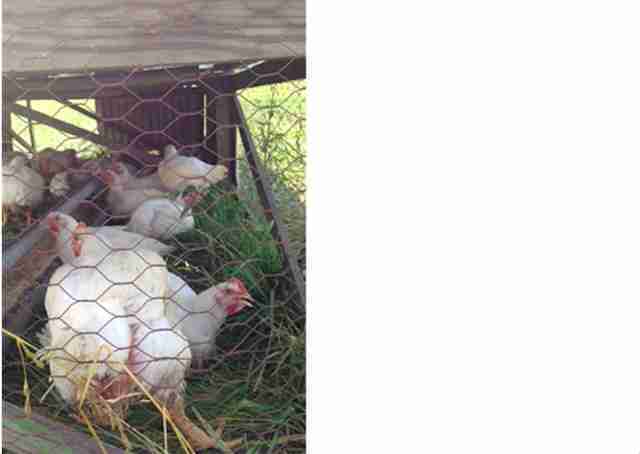 These chickens, like practically all chickens exploited for meat, were genetically bred to grow much faster than normal. The birds' hearts and lungs have difficulty supporting such growth rates, and many die of heart attacks at just a few weeks old. 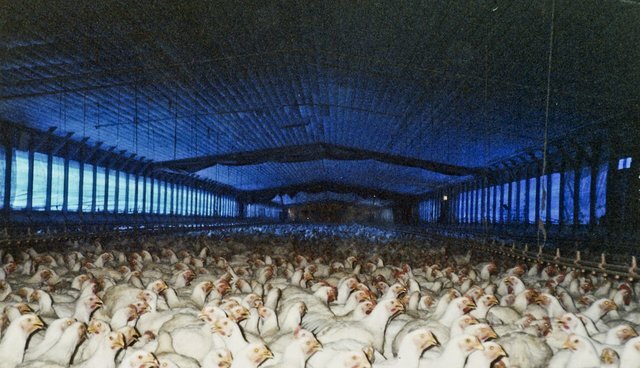 The unventilated, cramped enclosures were not good for the welfare of these "pasture-raised" birds. It's good that consumers who oppose factory farming are seeking alternatives, but food industry profiteers are exploiting this opportunity, misleading consumers and making meat, milk, and egg products sound better than they are. The further the consumer is from the farm, the easier it is for the industry to mislead. The only way to really know how animals are being treated is to visit the farms where they are raised and killed. Each of us has to decide whether or not to eat animals, but we shouldn't delude ourselves into believing that animals exploited for meat, milk, and eggs are treated well, even if various labels make it sound that way. Ultimately, the words "humane" and "slaughter" don't fit very well together, and if we can live well without causing unnecessary harm to others, why wouldn't we? Just some chickens frolicking freely in their pasture.